Born: ? ? 1835 – 1836? 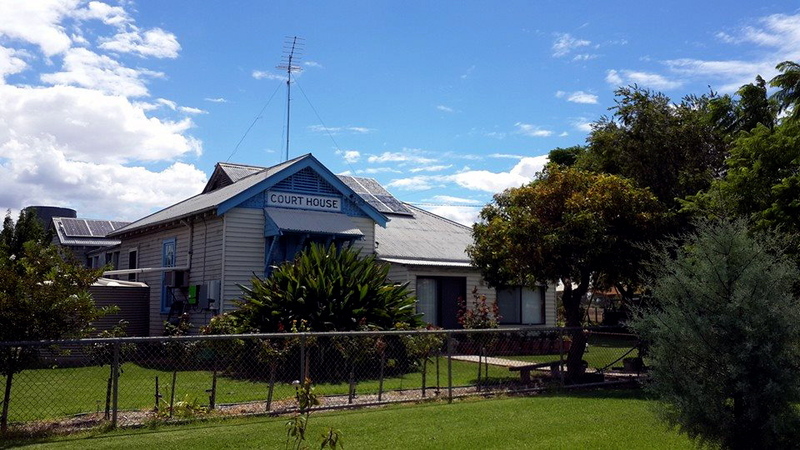 Constable Chapman was the officer in charge of Booligal Police Station, in the Deniliquin District. In mid-February, 1866 he set out on horseback to visit several properties in his area to serve summonses and carry out other duties. A few days later a report was received that his riderless horse had been seen near Tooragama, about twenty miles from Booligal, so Constable Barry went in search of him. Barry found the horse, without either saddle or bridle, and then he proceeded to call at every place where it had been Chapman’s intention to have called. The unfortunate constable was never seen alive again. The constable joined the police force on 6 September, 1861 and in 1862 he became a senior constable in the newly-formed New South Wales Police Force. At the time of his death he was aged 30 years and was stationed at Booligal. He was not long married when he passed away and his wife was expecting their first child. He is not listed in the official New South Wales Police Honour Roll. Chapman Charles, Senior Constable ( No. 467 ), lost in the bush; body found on February 22nd ( Thursday ). 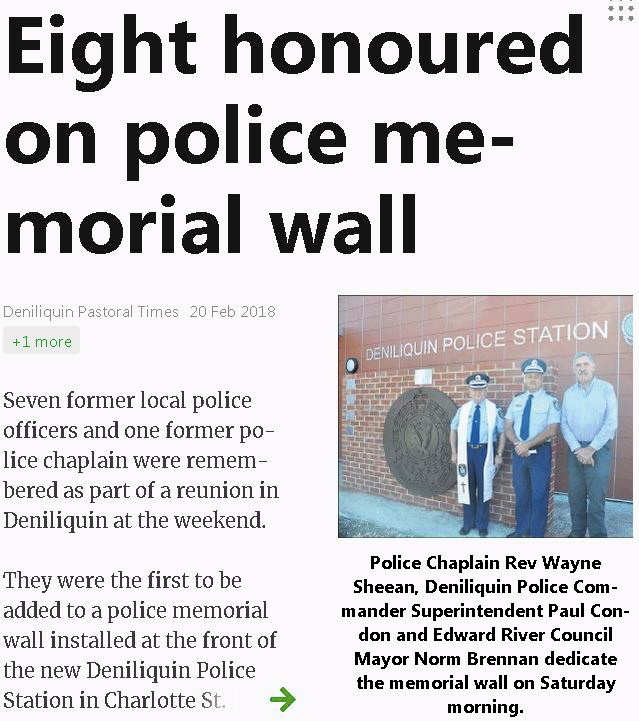 The Deniliquin Chronicle states that the remains of constable Chapman, who was lost in the bush lately, have been found by a man named Patrick Hardy and another, within three-quarters of a mile of where some men were making a dam. He was buried in the Booligal cemetery, and followed by a good many people to the grave. His horse was found naked. The body was as black as ink, and in an advanced state of putrefaction. In his struggles he had torn his shirt, and forced his pants up to his knees, and by his tracks it was seen that he had been rolling round and round the tree under which he was found to avoid the sun. He is said to have been lying on his side, with a coat under his head for a pillow. The spot was a dry creek, about twenty-five miles from Booligal, and seven from the Lachlan River. It is understood that there were no mark of violence on deceased’s person, but that he had evidently perished from exhaustion, and had, after rambling about for some time in a circuitous direction, being overcome with fatigue and thirst, lain himself down to die, having, it is supposed, hung his waistcoat on a tree or bush near as a guide to his last resting-place. The Pastoral Times reports a fatal occurrence in Riverina : — ” Constable Chapman, who is in charge of Booligal Station, went out on duty, and being longer away than his business required, has, it is feared, got lost. He left the station on Thursday week, about four o’clock. On the Saturday following his horse had been seen near Tooragama, about twenty miles from Booligal. Constable Barry went in search of him, and picked up the horse, without either saddle or bridle, on Tuesday. Fears are entertained that something serious has happened to Chapman. No trace has been obtained of him, although Barry called at every place where it was his ( Chapman‘s ) intention to have called. He must, therefore, have met with the mishap shortly after leaving the station ; and if he has been without assistance for so long a time, the worst may be anticipated. The feelings of Mrs. Chapman, who has been but a short time married, and about to become a mother, may be easily imagined. Our latest account states that Booligal had turned out in search, but nothing definite had been ascertained. Our telegram reports that the remains of Chapman have been found. The force has lost one of its best men. CONSTABLE CHAPMAN. -The remains of poor Chapman have been found by a man named Patrick Hardy and another within three-quarters of a mile of where some men were making a dam, and within five miles of where he hung up his waistcoat. He was buried in the Booligal cemetery, and followed by a good many people to the grave. His horse was found naked. The body was black as ink and in an advanced state of putrefaction. In his struggles he had torn his shirt and forced his pants up to his knees, and by his tracks it was seen that he had been rolling round and round the tree under which he was found, to avoid the sun. He must have had a horrible death. He is said to have been lying on his side, with a coat under his head for a pillow. The spot was a dry creek, about twenty five miles from Booligal, and seven from the Lachlan river. It is understood that there were no marks of violence on deceased’s person but that he had evidently perished from exhaustion, and had, after rambling about for some time in a circuitous direction, being overcome with fatigue and thirst, lain himself down to die – having it is supposed, hung his waistcoat on a tree or bush near, as a guide to his last resting-place. It is to be regretted that he was not better acquainted with the bush. Had it been so his life would have been saved. When search was made for Chapman, a human skull was picked up, no doubt part of the remains of some unfortunate. 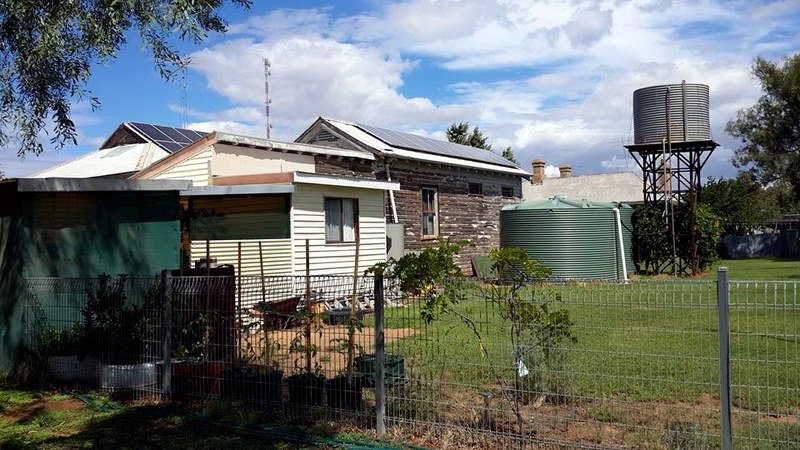 – Deniliquin Papers. Constable Charles CHAPMAN does NOT appear on the on-line version of NSW State Archives – Register of Police.